Microwave Antennas provides a comprehensive discussion on the various areas of concerns in microwave antenna theory and design. The title also presents data from technical journals that cover the advances in the developments of microwave antenna technology. 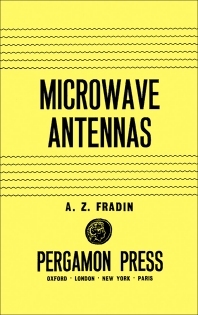 The text first discusses the classification, structure, and operating principles of microwave antennas, and then proceeds to tackling the fundamental problem of microwave antenna theory and methods for its solution. In Chapter III, the selection covers the solution of a number of mathematical problems of diffraction at openings in plane screens. The remaining chapters deal with the various types of antennas, such as horn, lens, slots, and helical. The book will be of great interest to students and practitioners of radio and telecommunications engineering.